With the Summer drawing to a close and September gaining pace, I want to hang onto the sunshine and the outdoors as much as possible, so I quite fancy the idea of a canopy! Take a look at today’s guest post for more info! Enjoy. Want to host an outdoor party but worried about unreliable weather conditions? Are you concerned about your furniture getting faded and weather-worn because of the sun? A customised home canopy is the perfect solution for you to overcome any unsettled weather conditions across the UK and organise any outdoor activity without fearing a downpour. Canopies are decorative accents that can add a bit of character to your home. Home canopies can not only be used for practical purposes but also can make your house look stylish and elegant. 123v, a leading supplier-installer of carports and canopies across the UK, can help you tailor-fit domestic canopies over doors, windows, patios and other places. Their in-house design and engineering team make use of the latest technologies to plan and manufacture the individual components in their own factories. Weather Protection: One of the most important benefits of installing a customised canopy at home is protection against adverse environmental conditions like rain and snow. 123v canopies provide protection against the harmful UV rays of the sun that causes serious health effects on the human body and also protect your home interiors and furnishings against the effect of extreme weather. Shaded Spot for Outdoor Activities: Home canopies can help you to create the perfect outdoor setting for hosting a summertime barbecue event or an outdoor party with your friends and family. 123v domestic canopies and carports enable you to create stunning outdoor areas on your property. They offer different canopy structures to choose from including traditional, cantilever and freestanding designs. Additionally, you can also mix different canopy styles to incorporate both traditional and cantilever elements within one installation. Economical: A canopy is a cost effective way to create extra space in your house which, in turn, will also add value to your property. Instead of adding an extension to your building, domestic canopies and awnings can create usable space for you and your family at lower costs. 123v installations can be fitted in domestic properties as well as in commercial buildings like school canopies and warehouse canopies. Storage Solutions: Canopies also provide a long-term outside space solution for storing your belongings like outside furniture, play equipment and other accessories. 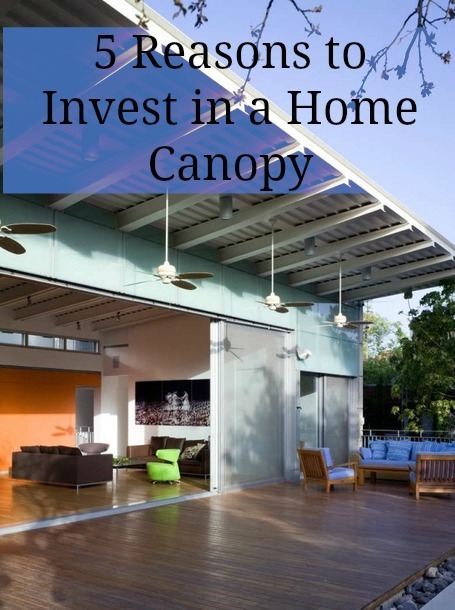 By using a custom built canopy, you can create additional space around your home that can be transformed into storage, work or relaxation areas. Aesthetics: Create a trendy canopy space outside your home with shape, dimension and colour that matches your house decor. Domestic canopies, like garden, patio canopy and door canopies can be designed in different ways to reflect the existing décor and style of any home. So, start planning and create a stylish outdoor space and shaded spot to enjoy with your friends and family. The canopies have such nice designs. I have installed these in my backyard and these protects my furniture there from sunlight and rain..